Studies show that many Americans are still living paycheck-to-paycheck and still many more could be financially devastated by an unanticipated accident or medical emergency. That's why protection services like these can make a vital difference for hard working Americans who rely on credit union loans to keep roofs over their heads and for the transportation they rely on to take them to the jobs that pay their bills. 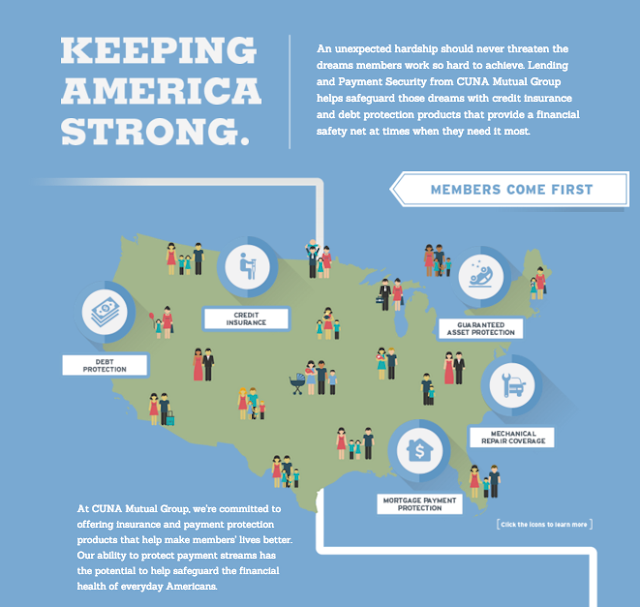 This infographic provides a brief tour of a number of services that give members an extra layer of protection against the unexpected and mean that credit unions have a few more ways to support the financial health of the people and families they serve. How are you giving your members ways to outsmart the unexpected?